Prominent & Leading Manufacturer from Delhi, we offer hammer mill, powder mixer grinder, cyclone pulverizer, powder mixture, octagonal blender and mini pulverizer gmp model. For the grinding of spices the Hammer Mill is widely used in food industry for a initial stage. All contact parts of the machine are made of stainless steel 304 quality. The machine is covered with stainless steel sheet and is fitted with motor, starter etc. The unit is provided with provision for affixing mesh of different size, as per requirement and nature of material to be pulverised. Powder Mixie consists of 3 Ltr capacity - grinder jar, made of Food Grade Stainless Steel. Provided with Acrylic made unbreakable dome cover. Power requirement: 1000 W / 220 V / 50 Hz/ 1 phase. Suitable to grind all types of Herbs & Spices and masala. 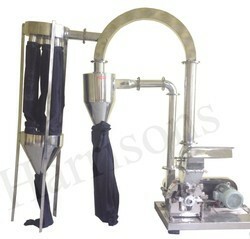 Cyclone Pulverizer is to reduce the size of the herbs, medicines powder etc. All contact parts of the pulverizeris made of mild steel. The machine is driven by motor of Three Phase, with starter etc. The unit is provided with provision for affixing mesh of different size as per requirement and natureof material to be pulverized. 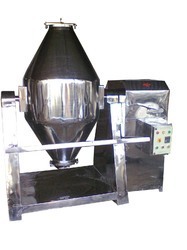 The Pulverizer shall reduce the powder size upto 100 # mesh. Powder Mixture are useful for mixing dry powders or granules. The unit is a especially useful for small portion of one product mix with larger portion of other. 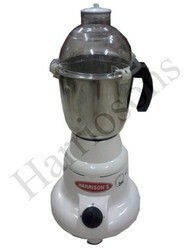 The blender is made of stainless steel and is mounted on mild steel stand. Unit is driven by a motor, through a gearbox. 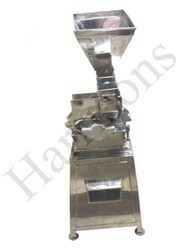 The mixing vessel is fitted with sliding angular blades from inside, for efficient mixing of powders. 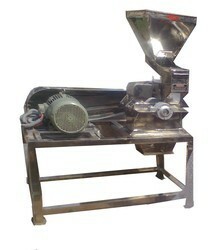 Cyclone Pulverizer is most popular grinder for spices in food industry. 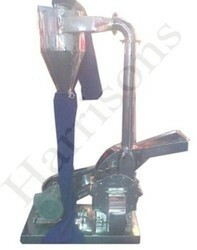 This type of pulverizer is suitable to grinde any type of spices, herbs, medicines and any hard material. All contact parts & body covering of the machine are with St. Steel - 304 quality. The machine is driven by motor with starter etc. The unit is provided with provision for affixing mesh of different size as per requirement and nature of material to be pulverized. Octagonal Blender is an efficient and versatile machine for mixing, lubricating and blending of dry powder and granules homogeneously for facilitating better flow ability of the material for tabletting and capsules. 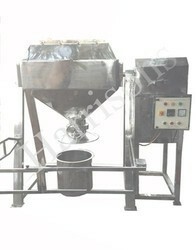 The basic machine consists of product mixing drum. A drum fitted with both ends by hub shafts which is given support on pillow block bearing. The complete drum assembly mounted on “A” type fabricated structure which is S. S. 304 quality cladded. The drive unit consisting of motor, reduction gear box, chain coupling and control panel. Digital timer indicator/controller with buzzer system. 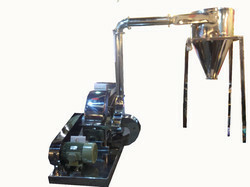 SS Mini Pulverizer GMP Model is to reduce the size of the herbs / medicines powder etc. All contact parts of the machine are made of stainless steel 304 quality. The machine is covered with stainless steel sheet and is fitted with 3 phase motor, starter etc. The unit is provided with provision for affixing mesh of different size, as per requirement and nature of material to be pulverized. With the assistance of a team of highly qualified and expert engineers, we are able to bring forth for clients an optimum quality range of Hot Air Oven. 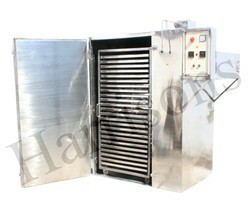 These ovens and tray dryers are widely used in the pharmaceutical industry. The electrically heated drying chamber of these products is ideally suitable for drying granules. Insulated with heavy fiber glass wool, with special u type heaters, air circulation fan. These products are made up of mid steel and are duly painted and finished inside with heat resistant aluminum paint. SS Mini Pulverizer that we bring forth for our clients is designed and developed to reduce the size of the herbs or medicines into powder. Contact parts of these mini pulverizers are manufactured using stainless steel-304 quality. Fitted with a 3 phase motor and a starter, the machines made available by us are known to deliver optimum performance. 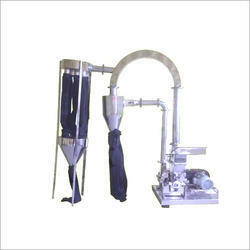 These mini pulverizers are provided with the provision for affixing mesh of different size. Whole body of Impact Pulverizer is made of mild steel, C.I, with Heavy M.S Base. Grinder shaft is of die steel EN-31 with double ball bearing, hammer made of Stainless Steel 304 quality provided with powder collecting bag, The material to be pulverized, passed through a Cone Channel, repulverized again to get the fine powder of approx. 200 #mesh size, with in built cyclone system. Looking for Powder Machinery ?